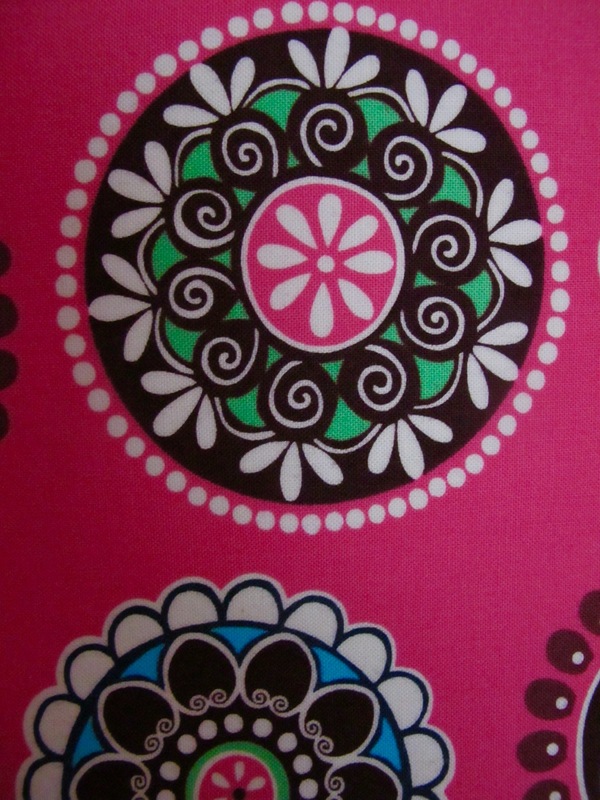 This striking fabric is a kaleidoscope of colour. 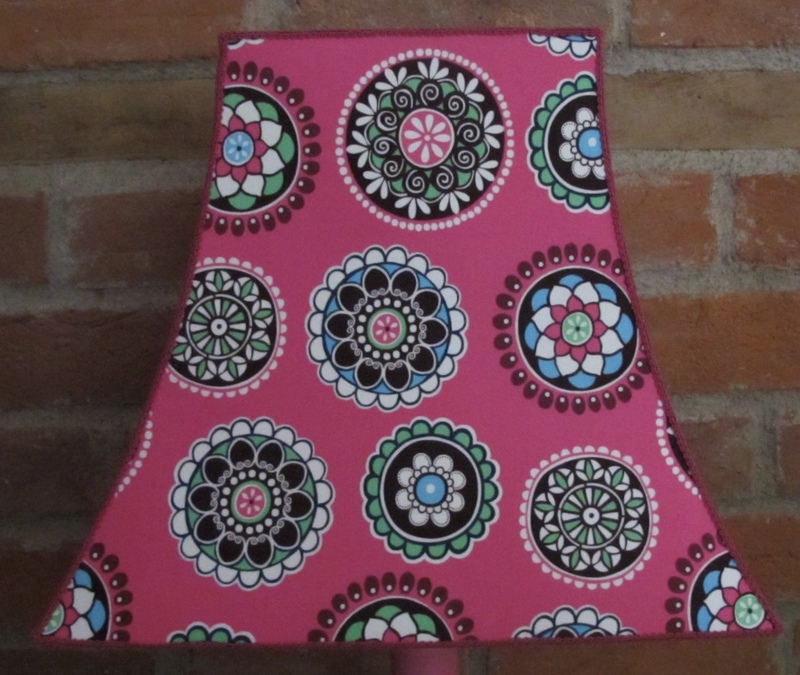 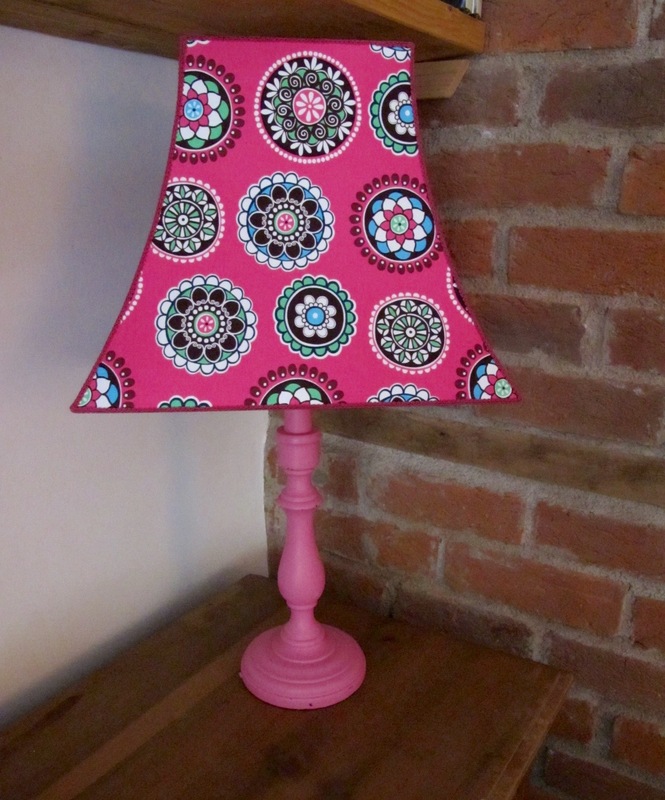 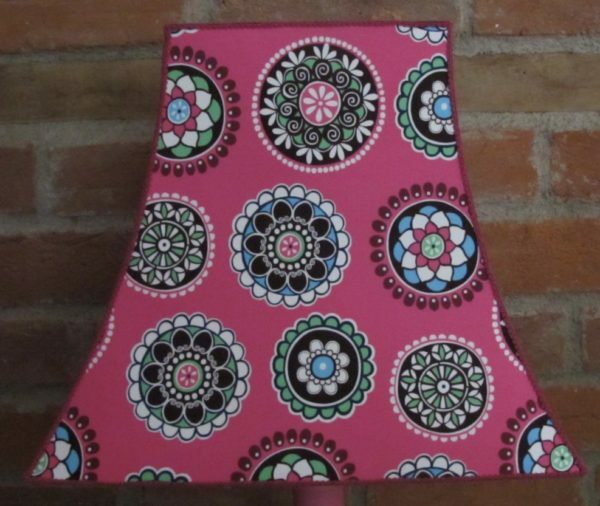 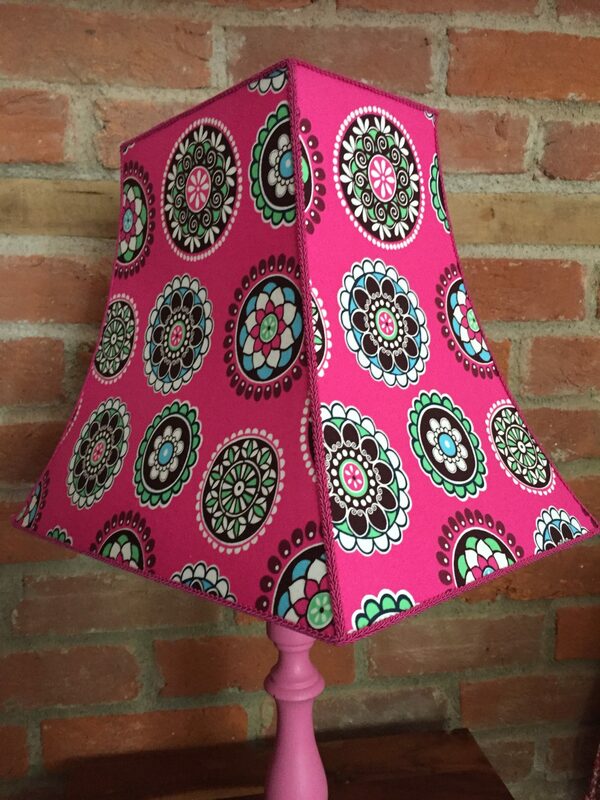 Bold retro flower rounds of pink, blue, green, black and white create this stunning lampshade. 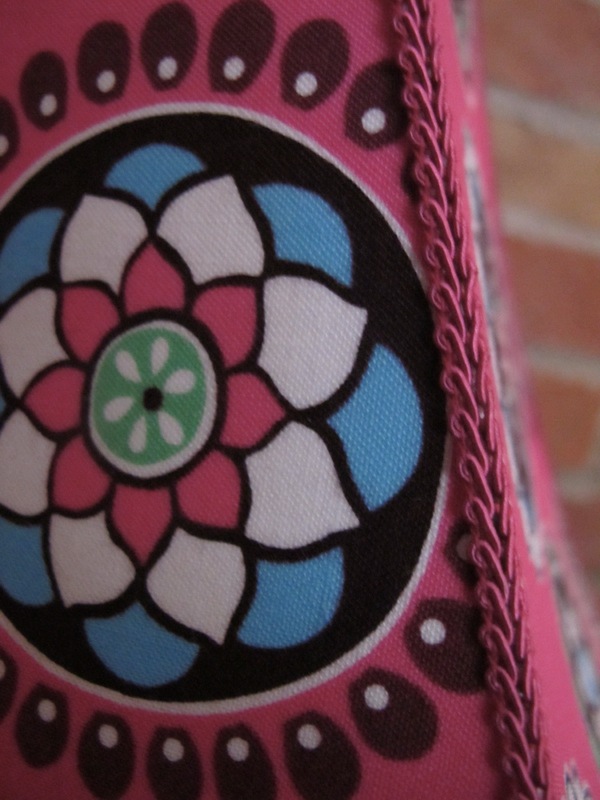 Trimmed with magenta braid to finish it off nicely. 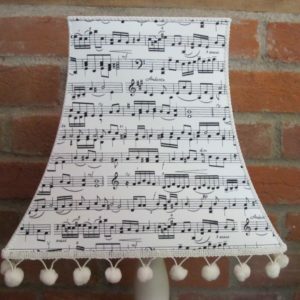 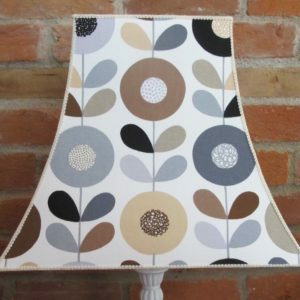 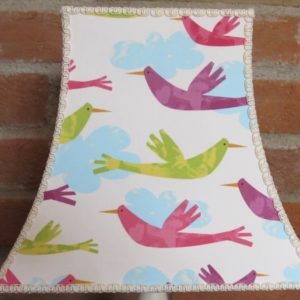 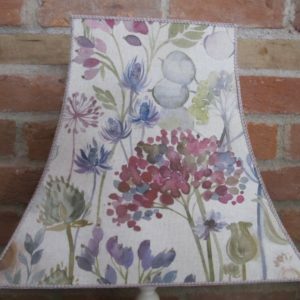 As my lampshades are made to order, your lampshade will be slightly different due to to the cut of the material but I will try and make it as close as possible.